Leather ankle boot with elasticised side. 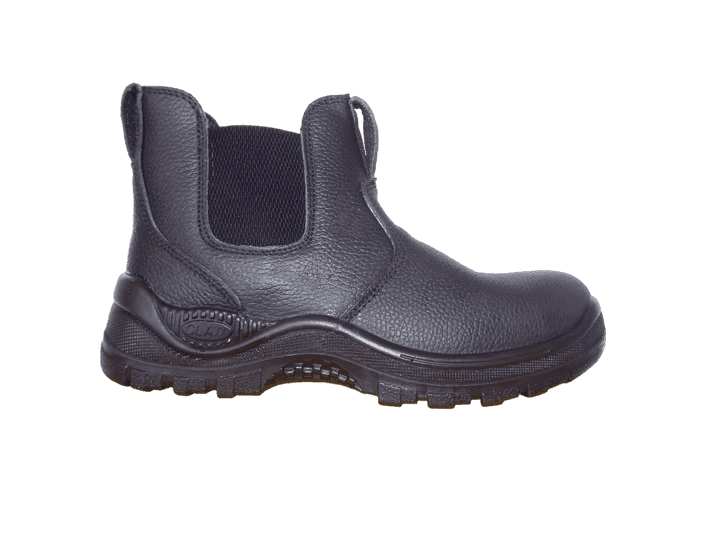 Steel toe cap and a double density Polyurethane-Rubber sole. Description: Leather ankle boot with a steel toe cap and elasticised sides. Dual density polyurethane rubber sole. Lace free. Identification: Black or Brown leather ankle boot with black gusset and sole. CLAW branding on the front and back tabs.